Dave Meltzer discussed Banks' situation in-depth during Wrestling Observer Radio. 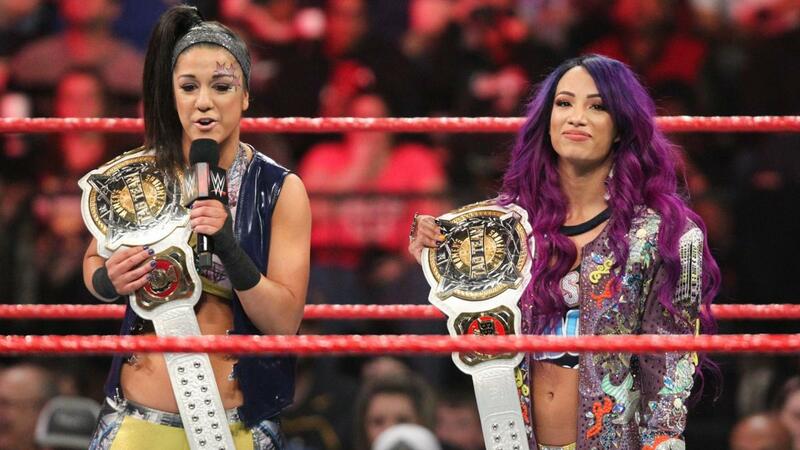 A third person told Meltzer that Banks has been unhappy with her standing in WWE and that losing the WWE Women's Tag Team Championship at WrestleMania was her breaking point. As per The Wrestling Observer, Banks wanted to leave the WWE during WrestleMania 35 weekend when she got to know about her and Bayley's Women's Tag Team title run were changed. It was reported that Banks was given a few weeks to think things over before making what the company figured was a rash decision, but Fightful's sources throughout the week had compared it to The Revival. This came after Sasha Banks made some cryptic posts on social media about missing Monday Night Raw and pulling out of an appearance on the Wendy Williams show at the last second. Considering how new champ champ Becky Lynch publicly challenged Banks in the wake of her wantaway woes, it's hard to rule it out. - $asha Banks (@SashaBanksWWE) April 9, 2019Due to personal reasons, I had to pull out of my appearance today on @WendyWilliams. Hopefully the opportunity will be there again later. If the mentioned reports are true, it's more likely the dissatisfaction was due to having a shorter title run than expected, and not specific to the winners, The IIconics. If you have been not following WWE of late, then let us tell you that speculations are rife about Sasha Banks and how she is planning to quit the company.